I recently tried my first Yoga Synergy classes with Stefan after three years of practice of Vinyasa Yoga. It’s been a wonderful revelation! Stefan has the rare gift of being really able to teach and communicate some difficult, abstract concepts to his students and, above all, he’s keen on tailoring each posture to the different bodies of the people attending the class, one by one, with calm and grace. I’m learning to breath less, tense less, stretch less whilst working on the asanas. I’m getting to know more about myself, with calm, letting time and practice define my postures. The fresh, interesting approach of Yoga Synergy is renewing my passion for yoga, I’m really grateful for having such an opportunity to learn! Synergy is a form of movement breath and posture derived from Ashtanga Vinyasa and Iyengar yoga styles. It also has influences from far eastern yoga traditions such as Tai Chi and Qigong. The founders of the Yoga Synergy school are based in Sydney Australia, Simon Borg Olivier and Bianca Matchliss are also fully qualified exercise based physiotherapists as well as instructors of a combined 50+ years experience. What makes the style of movement unique is that it incorporates musculoskeletal systems and physiology as a foundation of the teaching style. It is not Synergy’s intention to create a new yoga, or any other physical activity style for that matter, but simply to develop a system of movement which can be applied to various disciplines to improve overall health and longevity. The classes work on a fundamental sequence which is essentially based on the Ashtanga Vinyasa series of postures. Like Ashtanga, the sequence is systematically worked through. Whereas traditionally a beginner would only practice for a short amount of time to their capacity before going home for the day. This style offers alternatives which are perfectly suitable for anybody (including those who practice full vinyasa), but it’s particularly beneficial to those who may otherwise have difficulty putting most of their body weight on the hands (as in a pushup for instance). 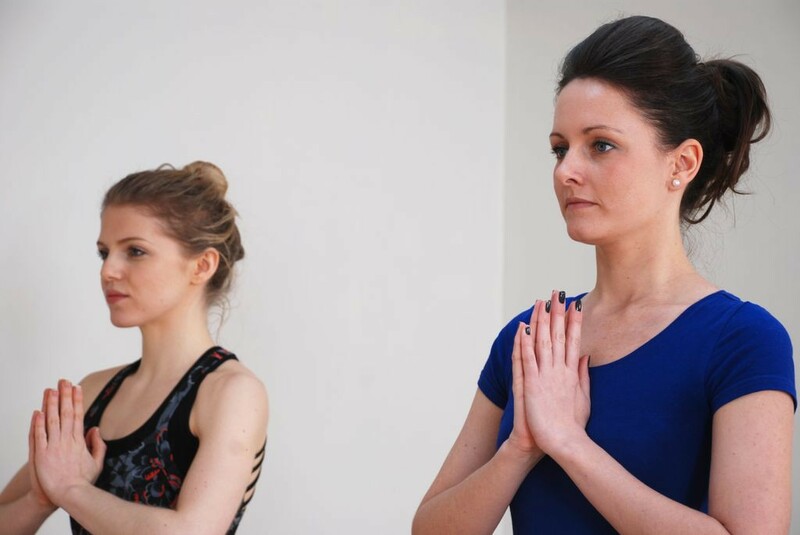 Each week will be a breakdown and the workshop on a particular aspect of posture or set of asanas. For those with an already established yoga practice it will be beneficial to take a fresh approach on applied anatomy in the context of their posture and movement. For beginners its absolutely safe and effective way to increase energy instead of feeling tired or sore, and to improve flexibility without painful stretching. Perhaps most importantly of all this practice leads to a very calm sense of well-being throughout and following the sessions. Aiming to establish a long running practice which is enjoyable and will lead to long term health for both physical and mental wellbeing. So then it goes without saying that you don’t need to be flexible or strong to get the benefit of these classes. If you have a physical or physiological ailment which you believe will prevent you from being able to participate then there is no need to worry. Due to the nature of the style being devised by physiotherapists as well as yoga teachers you will be guided in a way that will help to heal injuries and conditions that may otherwise prevent you from enjoying the practice and cultivating long term health.